Although it's only been around for a few days now, Pokémon Go has become so insanely popular that's is nearly inescapable with the literal hordes of players roaming around trying to catch 'em all. In fact, it looks like the game has already been installed more times than Tinder. 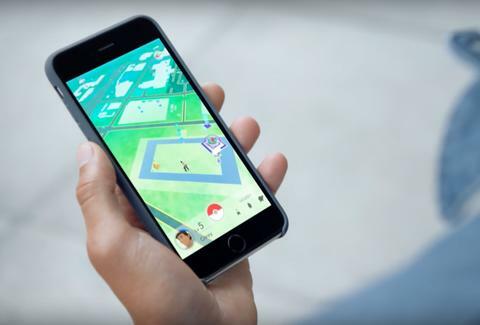 As explained in a report by Gizmodo, analytics research from SimilarWeb suggests that by Thursday, July 7th, the Pokémon Go app had already eclipsed Tinder in the number of downloads to Android smartphones in the US. In other words, there could very well be more people swiping up to score a Doduo than there are people swiping right to score a date. Well, damn. On top of seemingly surpassing Tinder, SimilarWeb also found that as of Friday, Pokémon Go was already well on its way to meeting or even beating Twitter in daily active users on Android. For perspective, Twitter has been around for more than 10 years now. Specifically, around 3% of all Android smartphone users in the US are playing the game, whereas about 3.5% are actively using Twitter -- and those are just the numbers from late last week. Holy Crobat. Of course, the analytics research doesn't account for the number of downloads and daily active users among iPhone users, but you can probably bet your Pikachu that it's pretty damn similar. Tony Merevick is Cities News Editor at Thrillist and would totally swipe right for a Pikachu. Send news tips to news@thrillist.com and follow him on Twitter @tonymerevick.